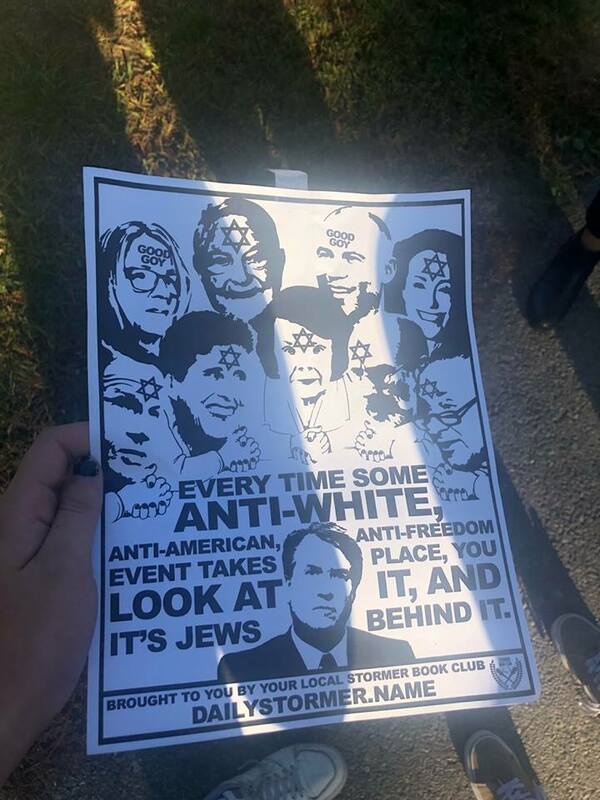 Racism, Antisemitism, ideas of “outside agitators” are the right’s most effective tools for delegitimizing the message and messengers of social justice. If protest can be blamed on those outside, both the message and the messenger are untrustworthy. Right-wing regimes have long broken down the fabric of political protest by using the antisemitic notion of rich Jewish financiers as the “puppet masters” of social unrest. During the Russian Revolution, the Tsar’s secret police published the Protocols of the Elders of Zion, a fictional account of a meeting of rich Jews plotting to break down the society of their “host countries” and rule the world through the promotion of social upheaval. For a period, the Protocols did its job to undermine and destabilize the revolution against the Tsar. Because of its success, it’s been translated and promoted by right-wing ideologues around the world ever since. It's not just antisemitism on its own, but antisemitism deployed against the left that gives the lie about Soros its cultural power. Our side can point out that right-wing efforts are funded by the Koch, Walton and Mercer families all day long, but that fact and its broadcast never delegitimizes their endeavors. That's because the Soros lie—the invocation of the idea of the scary, untrustworthy Jew—is built on top of a bunch of other assumptions: that "real" Americans are Christian and white, and hew to patriarchal gender norms and racial segregation. The use of an anti-Semitic trope to condemn protesters for exercising their First Amendment rights signals a turning point in the authoritarian trajectory of our politics. 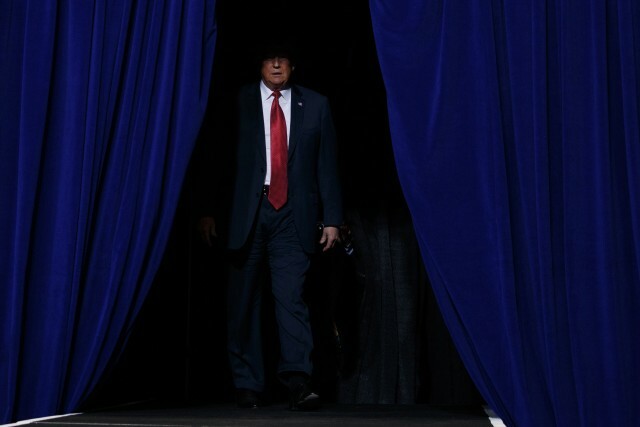 President Trump arrives for a campaign rally in Rochester, Minnesota, on October 4, 2018. The confirmation process for President Donald J. Trump’s Supreme Court nominee, Judge Brett Kavanaugh, continues to be a significant test of the U.S. form of government, and a display of high drama. He was speaking, of course, of the sexual assault survivors—mostly women—who have been following the example set by Ana Maria Archila and Maria Gallagher when they famously confronted Republican Senator Jeff Flake by holding his elevator door open and imploring him to consider the experiences of those who have been targets of sexual assault when deciding whether to vote for moving the nomination to the Senate floor. In both instances, these national leaders branded people exercising their First Amendment rights as dangerous. In both the fever swamps of the American right, and the forests of Europe’s right-wing nationalist movements, the hedge fund billionaire George Soros—a Jewish Holocaust survivor born in Hungary—has become a favorite bogeyman because of his support of liberal and civil-society groups. In Europe, he is cast as a destroyer of Europe’s Christian values. (His Open Society Foundation was pushed out of Hungary, which also recently passed anti-immigration legislation dubbed the “Stop Soros” law.) He’s also a favorite target of the U.S. right, where invocation of his name carries the same sort of anti-Semitic code. Here, he’s reviled for donating to progressive and liberal groups, and has consequently become fodder for the conspiracy theorists of the right. Characterizations of Soros by right-wing figures follow the outline of old anti-Semitic tropes such as the fabricated “Protocols of the Elders of Zion,” and conspiracies supposedly involving the Rothschild family. This is the strategy of authoritarians. Create fear that chaos created by backlash to the authoritarian’s exercise of raw power is really taking place at the direction of one very powerful enemy. Discourage people from public protest by painting the opposition as “evil,” as Trump did in the Mississippi rally he led this week, where he mocked Ford for her inability to remember every single little detail of the 1982 evening on which she says she was assaulted by Kavanaugh. “These are really evil people,” Trump said of Ford and the Democrats who insisted on her right to testify before the Senate Judiciary Committee, whose job it is to vet nominees to the federal bench. Note that among the right-wing evangelicals who comprise much of Trump’s base, “evil” is regarded as an existential spiritual threat, the stuff of Satan. As I write this, the outcome of the final vote on Kavanaugh’s nomination to sit on the highest court in the land is not certain. But the clampdown is coming—a clampdown on dissent, a clampdown on access to the levers of congressional process by the president’s opponents. As I write this, the outcome of the final vote on Kavanaugh’s nomination to sit on the highest court in the land is not certain. But the clampdown is coming—a clampdown on dissent, a clampdown on access to the levers of congressional process by the president’s opponents. As McConnell promised, he really has “plow[ed] right through” this nomination process, complete with a final FBI report on the sexual assault allegations against Kavanaugh that, through circumscription of inquiry imposed by the White House, amounted to a whitewash. The exercise of authoritarian power is not anything that Trump, McConnell, and their allies even attempt to conceal at this point. It’s happening in front of your face. Pay attention. Take note of the signs. But don’t let it keep you from the streets, or from the voting booth. The republic as we have known it could cease to exist if we allow it. And that time is growing closer. They’re playing for all the marbles. They mustn’t be allowed to win.